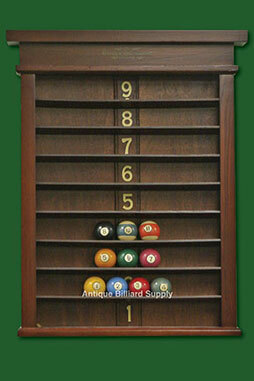 #6-08 Exceptional 9-shelf antique ball rack with Brunswick crown accent. Manufactured in the 1920s, made of solid birch with dark cherry colored finish. Completely restored with gold-leaf numbers on the vertical back panel. Matching cue rack available.